Complete restoration of my first drumset from late 80's. 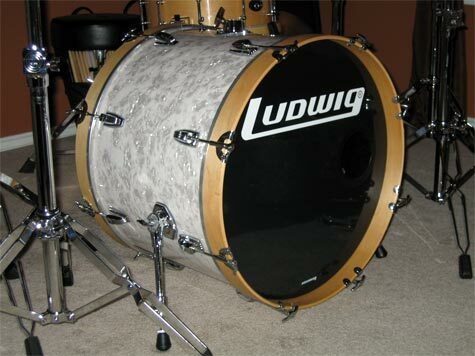 Original finish was Ludwigs riot maroon wrap. 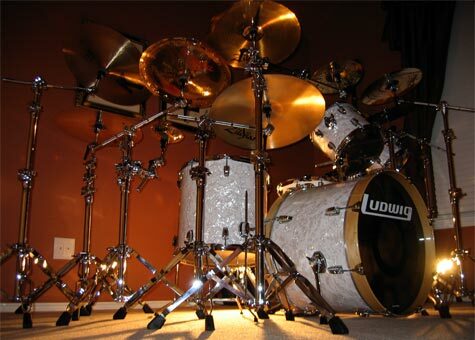 This included new Vintage White Pearl wrap from Sam Barnard Drum Wrap Company!! Sam is an awesome guy to do business with. I recut all bearing edges on the drums with double 45% edges then sealed with tung oil and polished with carnauba wax to a smooth edge.. Improved the sound dramatically. All hardware is small classic lugs with new gaskets. 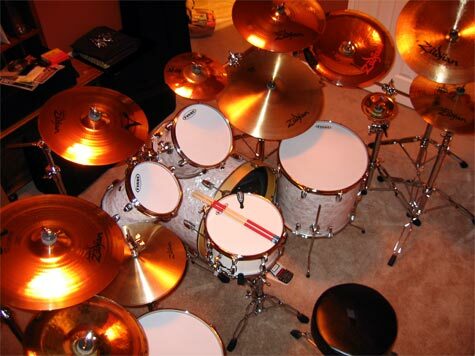 Set is outfitted with all DW 9000 series hardware and Zildjian Cymbals. 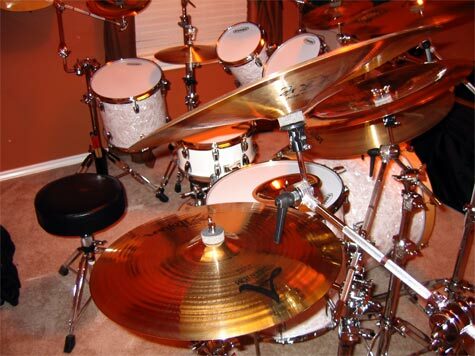 I usually go between Evans and Aquarian drum heads just depending on the sound i'm looking for. 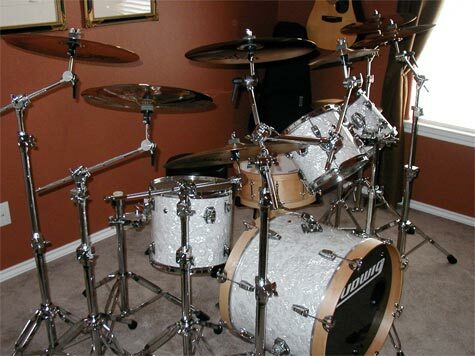 By no means is this a pro set but was a definite upgrade to my first drumset.